May, it's the month of my birth, and while the day of all days is not as yet a global public holiday, it damn sure should be. With that in mind as I turn my aged eyes towards the releases of May 2012, here are the five comics I'll be wishing for, as I blow out the candles on the increasingly crammed for space roof of my birthday cake. 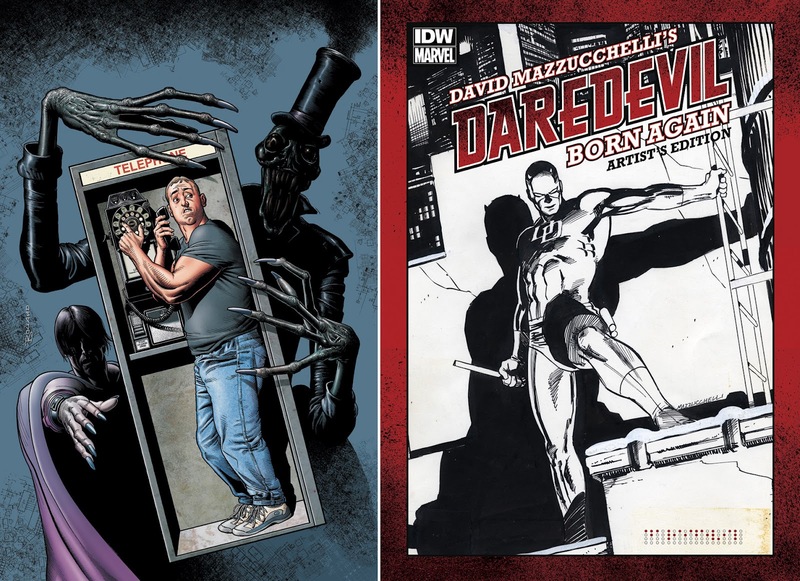 DR MANHATTAN (The Neon Blue Guy In The Room): DAVID MAZZUCCHELLI'S DAREDEVIL BORN AGAIN: ARTIST'S EDITION (IDW) This is my birthday present to me, and I can't wait. Writer Frank Miller and artist David Mazzucchelli's definitive Daredevil arc, personally scanned by David from his own original art! 200 pages of story, covers and extras at 100% the originally drawn size. Paste-overs, blue pencils, editorial notes, art corrections and more, make this the most unmissable 'behind the scenes' book ever. NITE OWL (The Dependable Goodie): EXILED #1 (Marvel): Forget AvsX for a minute - this actually feels like a magic Marvel crossover of old, and it's easier on the wallet! 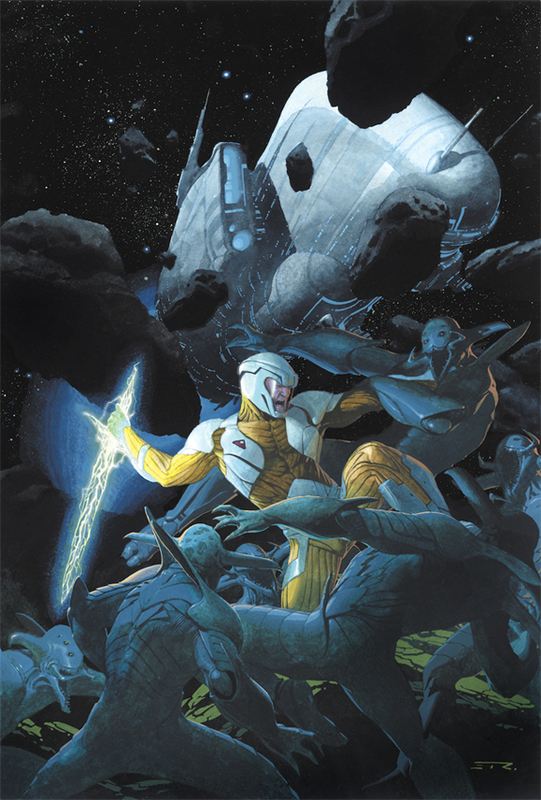 Combining The New Mutants with the Asgard forces of Journey into Mystery, this one-shot kickstarts the whole shebang, as a lost hero mightier than Thor returns. RORSCHACH (The Indie Voice): MIND THE GAP #1 (Image) If you missed out on Morning Glories, you can finish hanging your head in shame and jump on writer Jim McCann's next quality little number Mind The Gap! A psychological thriller, where a comatose victim is the only key to the identity of the brutal criminal menacing the public, you'll need to keep one eye open when reading and presume no one is innocent. THE COMEDIAN (My Rank Outsider): DIAL H #1 (DC): One of my top DC concepts lands a whole new series! The magical dial that transforms it's wielder into a different super-hero, each time it is spun, is a great recipe to explore the slice-of-life side of the DCU, while really shaking the fantastic from the tree as the same time. SILK SPECTRE (Stops traffic with looks alone): X-O MANOWAR #1 (Valiant) The Valiant Universe is reborn in this bumper-sized issue, and not only is the barbarian in an alien warsuit leading the charge, he's drawn by iconic Conan artist Cary Nord! Sold, sold and sold again! What do you think? 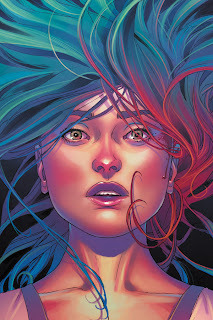 What comics are you looking forward to this May? Well that is a pretty good take on Avengers Assemble Aliera! If you pick up Exiled let me know your thoughts!